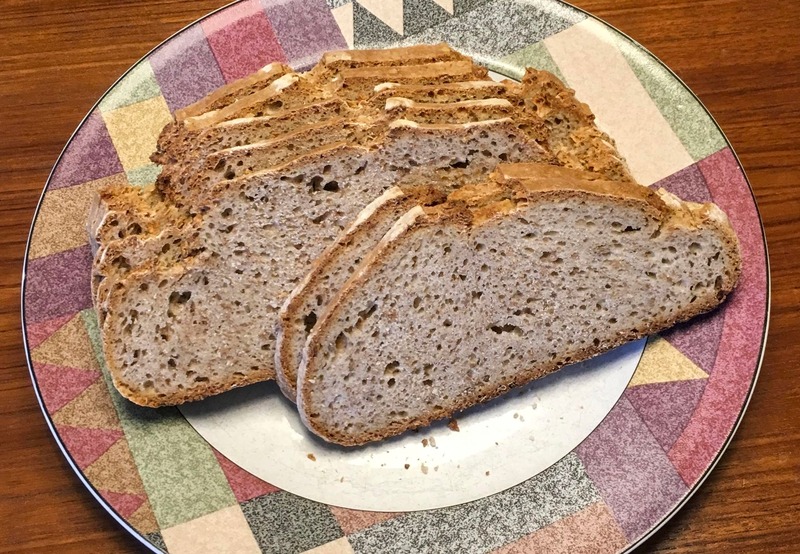 Recipes on the Internet for baking sourdough bread vary greatly but have one thing in common: They promise a short preparation process and add a multitude of ingredients to the dough. The end result is a bread that has little in common with old-style German sourdough bread. 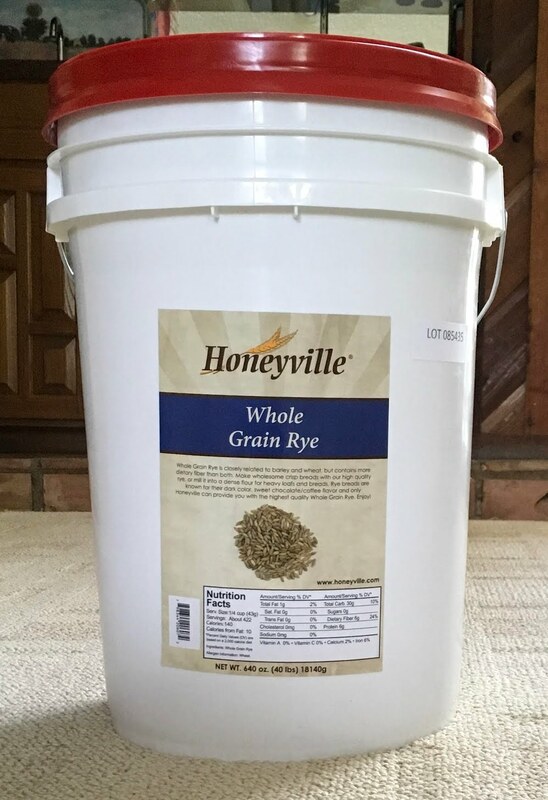 This post tells how you can purchase rye grain and wheat grain and wheat flour needed for our sourdough breads. Prices quoted on the Internet for rye grain vary greatly. When you compare offers per lb. of grain, make sure that you include shipping charges, since they vary significantly. 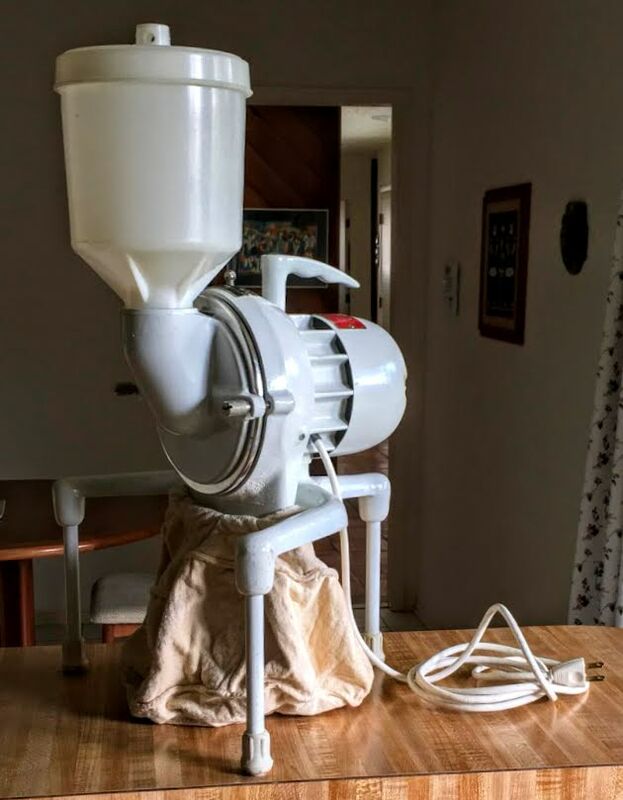 This post lists the equipment you need for grinding grain, baking, and slicing bread. Grains such as rye and wheat contain oil, which thus is contained in whole grain flour. 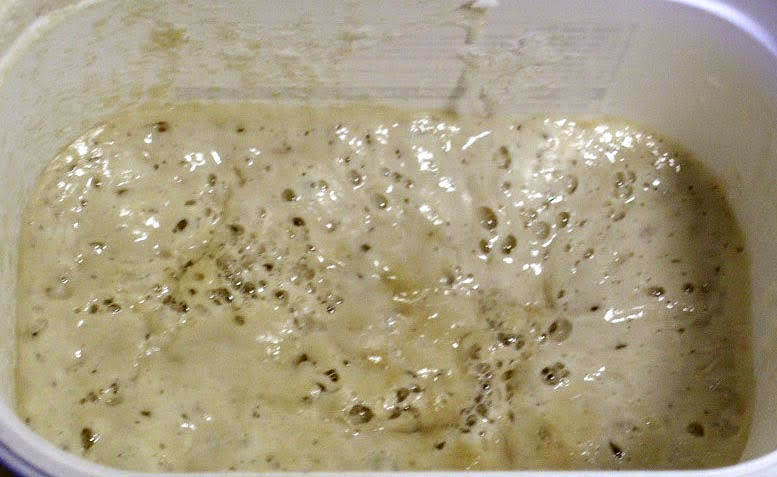 The oil contained in the flour oxidizes gradually and eventually becomes rancid. The special smell of store-bought whole wheat flour stems from that oxidization process. We do not want any such smell, nor do we want to have partially oxidized oil in our bread. 1. One makes acquisition, maintenance, and processing of the sourdough look like a time-consuming and convoluted process. 2. One admonishes the potential baker that sourdough starters must be fed every few days. 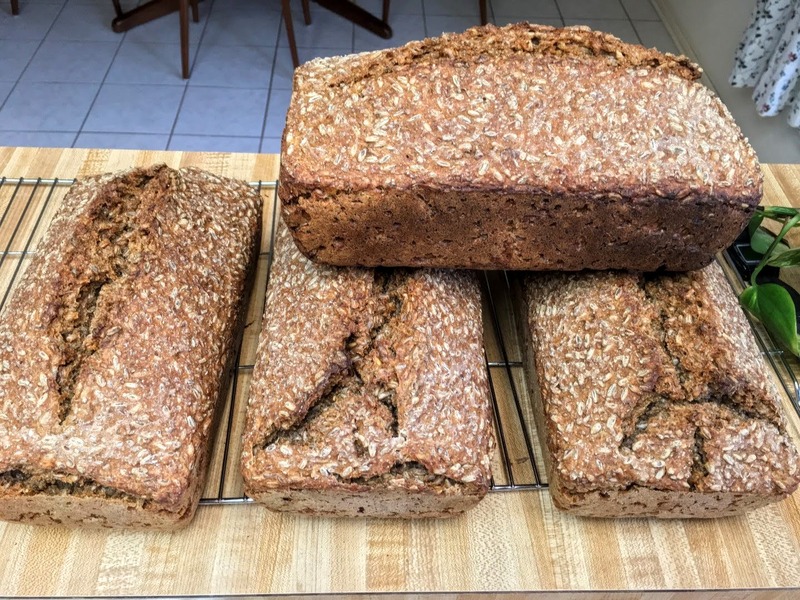 This post tells you how to bake a variety of sourdough breads: rye-wheat bread (Graubrot), rye-wheat bread with whole rye grain (Schwarzbrot), rye-wheat rolls (Brötchen), and wheat bread (Weizenbrot).